During their Decades: World Tour 2018 tour Nightwish also made a stop in Bratislava (in Incheba Expo-Arena; HERE you can see our concert review in Slovene). 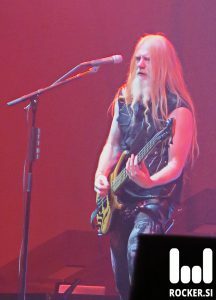 About two hours before their performance I had an honour to speak with band’s bassist, guitarist and occasional singer Marco Hietala. ROCKER.SI: Welcome to Bratislava. How are you? MARCO HIETALA: Good thank you. 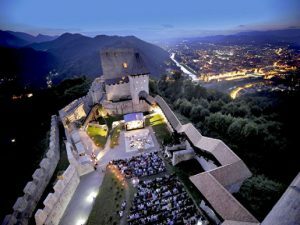 I hope that Bratislava is also good (laughs). ROCKER.SI: Let’s start with your Decades: World Tour 2018 tour, which has been going on for the last eight months. How do you feel after all this time? Since your current set list includes many rarely played songs next question seems appropriate: Are you (as a band) satisfied with the audience’s reception? MARCO HIETALA: Good, our tour is slowly coming to an end. Based on the reactions of audiences from all over the world, I can say that they are (and were) more than pleased to hear our songs. Regarding our set list I must admit that I needed some practice because those are mostly the songs which were recorded before my arrival in a band. Especially by ‘Devil and The Deep Dark Ocean’ which includes various instrumental and vocal twists and turns. Sometimes I think that my job would have been easier if would be only a guitarist or a singer (laughs). We have also tried to make the songs sound more current. In both senses, that they would suit our current line-up and wider. I love vocal harmonies we had added (to certain songs) with Troy [Donockley]. ROCKER.SI: Are you satisfied with the final form of your set list? Would you like to change anything? MARCO HIETALA: As far as I’m concerned, I would be happy to remove ‘Wish I Had an Angel’ (laughs). Some in the band, including me, are very happy to play ‘Dark Chest of Wonders’ again. The song is more than suitable for live performances. When choosing a repertoire, we must bear in mind that the band is a democratic formation, where everyone has their own voice and opinion. And no, I do not think about the last in a political way (laughs). ROCKER.SI: Do you have or have other band members some special rituals before hitting the stage? MARCO HIETALA: Not really. We are usually visited by friends or family members. Socializing and relaxing, that’s all. ROCKER.SI: Is it true that you will be releasing a concert documentary, covering your performances in the Latin America? MARCO HIETALA: Indeed. On this tour we are playing many songs that will most likely never be played again. The structures and messages of some of the songs are a bit dated. ROCKER.SI: Can you reveal us an approximate release date? MARCO HIETALA: I am sorry, but I can’t. Most likely we will release it sometime next year. ROCKER.SI: In what formats can we expect a documentary? MARCO HIETALA: On the Blu-ray for sure. Probably also in other formats, on which such things are issued today. Unfortunately, I can’t tell you more, because it is a matter of our label and its business policies. ROCKER.SI: Is it true that you will start to work on the follow-up to your 2015’s Endless Forms Most Beautiful? MARCO HIETALA: Indeed. We have already booked a place for the next year. We will be there between July and September. We will be having our recording gear with us so we will be able to record our ideas. I can say that in a year 2020 we can expect both a new tour and an album. ROCKER.SI: Will the upcoming album continue the direction you have planned with the Endless Forms Most Beautiful (2015) or will it be something completely new? 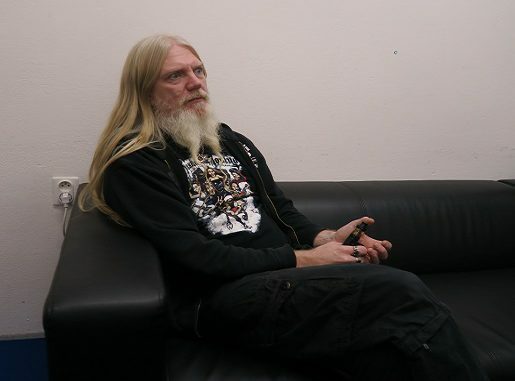 MARCO HIETALA: Well, I can’t tell you too much (laughs). Let’s just say that the record will revolve around the vocal harmonies we have already talked about. I think that over the years, we have created a system where we all work together and know our responsibilities. Troy’s and Floor’s [Jansen] role will be bigger this time. ROCKER.SI: Do you plan a box-set with outtakes and similar material? A follow-up to your Decades (2018) (HERE you can see our review in Slovene) compilation? MARCO HIETALA: I have no idea. 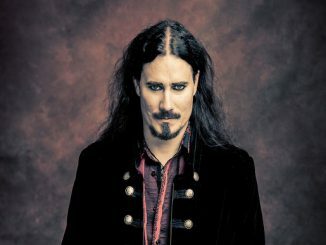 This kind of decisions are usually made by Tuomas [Holopainen], people from our label and similar. ROCKER.SI: In December, you will re-releasing the End Of An Era (2006), a concert documentary that will cover the band’s last joint performance with Tarja Turunen. How did this happen? MARCO HIETALA: Once again, the same answer (laughs). I took a part in the preparation of footage, and that was all. Obviously, it seemed appropriate [for those responsible] to release it again. 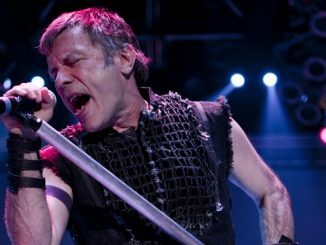 ROCKER.SI: How did the arrival of your current singer affect band’s creating processes? 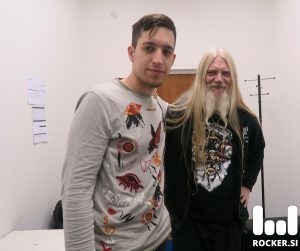 MARCO HIETALA: Floor’s influence is huge. Because of her vocal range she can sing almost everything that we can think of (laughs). ROCKER.SI: How would you comment current chemistry in the band? Are we wrong if we say that you are really enjoying being together? MARCO HIETALA: You are 100-percent right. Chemistry between us is really great. Without any accusations, however, this was not always the case. ROCKER.SI: Beside the Nightwish you are also a member of some other projects. Do you have any future plans with them? MARCO HIETALA: Well, yes. I am also working on a new solo album. That will be released next spring. Before we will start with the preparations for the new Nightwish album. Release of a new solo album will be also supported with few concerts. Regarding the Tarot there is a whole different story. Since our drummer died our future remains unknown. I mean we have some recordings and we talk with each other, but that’s pretty much all. Being in a band must be connected with joy, which unfortunately I do not feel, at least not with Tarot. I can also tell you that because of Nightwish-related commitments, this year’s Heavy Christmas tour will be somewhat shorter. Probably we will play a concert or two, so that I do not break my traditions (laughs). ROCKER.SI: Do you have any other final thoughts? MARCO HIETALA: Do not let rock ‘n` roll die. Boycott trendy, instant music, made for a few minute idols, which are usually forgotten even before their career begins. Listen to good albums, not cra*!